Welcome to Porsche El Paso, in beautiful El Paso, TX. 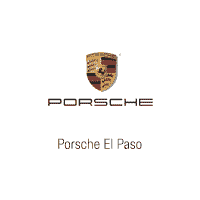 Porsche El Paso is the premier Porsche dealership for over 300 miles in any direction. Our team goes the extra mile for everyone we work with. We look forward to working hard to offer Porsche’s most popular models to the area. If you are looking for a massive new high-performing sports car inventory (including the new Cayman, Carrera, Panamera, Macan, or Cayenne), competitive pricing, friendly service, and a friendly no-pressure environment, then we’ll be your go-to Porsche dealership in El Paso.